Annie Louise Sharp, 67, of Noblesville, was born on December 4, 1951 to Lillian Maureen Boles Prater and Leonard Loren Prater, Sr. Annie was preceded in death by her parents and two sisters, Annie Louise Boles and Margaret Ann Favors. Annie passed away peacefully in her Noblesville home, surrounded by her family and friends on April 11, 2019. 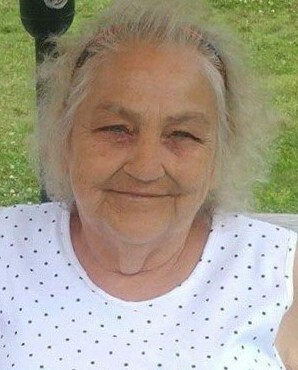 She is survived by her loving daughter, Bobbie Ann Dill Sharp; five brothers, John L. Prater, Thomas E. Prater, David R. Prater, Larry T. (Pam) Prater, and Leonard L. (Jackie) Prater; one sister, Mary Cooper; grandchildren Jessica Nicole (Robert) Gilley, Chelsey Michelle (Matt) Freeman, Casey Maureen (Tyler) Wilson, and Dustin Wayne Freeman; and great-grandchildren, Lilly, Paisley, Jayden, Harmony, Adeline, Dallas, Tyree, and Tyrus. Services will be held at 1:00 pm on Wednesday April 17, 2019 at Randall & Roberts Funeral Home, 1150 Logan Street in Noblesville. Visitation will be 4:00pm to 8:00 pm on Tuesday April 16, 2019 at the funeral home, with a ceremony by the Women of the Moose at 7:30 pm. Burial will be at Brookside Cemetery in Lapel, Indiana.